It’s not that you’re afraid of selling. It’s not that you’re afraid of hard work. You know one day someone will finally say yes, but after 20 calls in a row, this isn’t sustainable. This discovery call sales process has left you doubting your expertise, but I guarantee that if you ask your last client for a testimonial, you’ll realise that the work you do changes lives. What if selling was a simple as Message, Post, Sales? Selling isn’t just shouting about your offer constantly all over the internet. Selling is writing a message that resonates with your heart + the minds of your ideal clients so much they are naturally pulled to working with you. 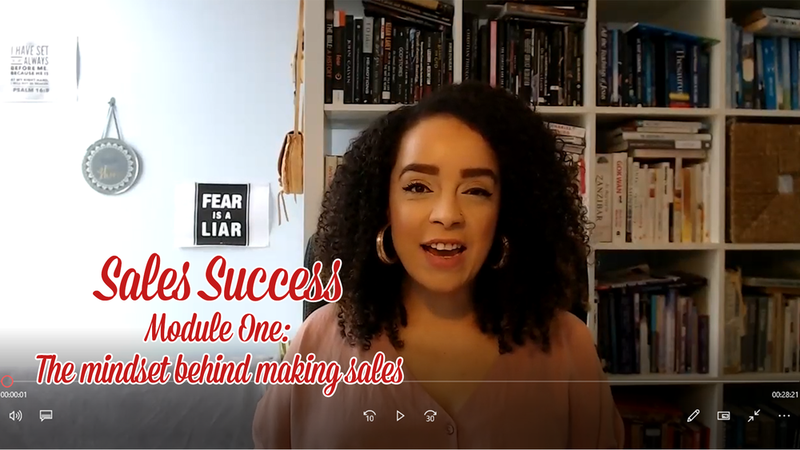 This is the exact method I've used to sell out courses and programs on repeat, as well as fully booking my 1:1 more than once. No discovery calls. No pushing. No sleazy salesperson. Divinely downloaded message that speaks to the hearts + minds of your ideal clients and causes them to want to buy. The sales mindset that gives you unwavering confidence in your offerings, making them easier to sell because you truly believe in the transformation - and so will your clients. How to position your offer so that you’re not shouting into an empty Facebook room, and instead, you’re speaking directly to the person who wants to pay you. Pricing your offer so you’re getting paid what you’re worth, and getting a higher caliber of clients whose transformations are testimonial worthy. How to download your perfect message that resonates with your truth and the truth of your business so that it resonates with what your clients want, turning them into raving fans who continually want to work with you. How to set effective sales targets that inspire you to hit your dream monthly income figure and beyond. How selling momentum will help you double your sales. How up-selling isn’t sleazy but actually of service and how it can increase your income effortlessly. 4 modules delivered directly to your inbox as soon as you sign up. Instant access so you can binge-watch and implement immediately. 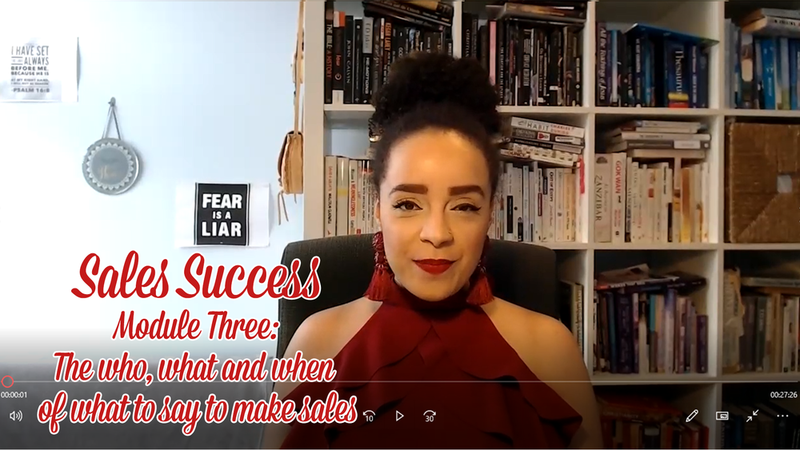 A BONUS 30-minute story telling training by James Aidoo, that will help you book interviews and speak your truth boldly - like how Keisha got invited to share her story on national TV after going through this process! Surpassed my non-negotiable number of 30 women in my first ever e-course. Made sales from a single blog post or live stream on repeat. Continually enrolled amazing women into my membership academy. Filled a group program twice before moving it to a self-study program. Samantha having the highest paid week of her life. Jen getting 3 clients within just a couple of months of us working together after previously getting ready to shut down a 5-year-old business. Sandra made sales in a brand-new program happen on automate whilst holidaying with her family. Mel continues to get new clients being booked with the promise of on-going work. 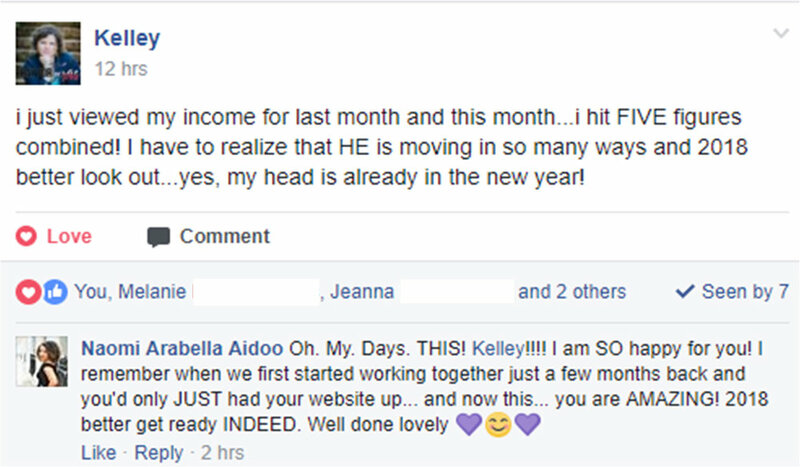 Kelley went from 3, to 5-figure months in just a few months. Enroll Into Sales Success Today. You Made It All The Way To The End. Obviously, We’re Doing This.